If you haven't used a Harmony product and you have a home theater system then you may be missing out. The Logitech devices can control all manner of things from receivers, TVs, Blu-ray players, and so on, to many Internet of Things products in your home, such as light bulbs like LIFX and thermostats such as Nest. If you have an Amazon Echo, better known as Alexa, then you can already do a bit of that, turning your recliner into a throne from which you can oversee your kingdom. 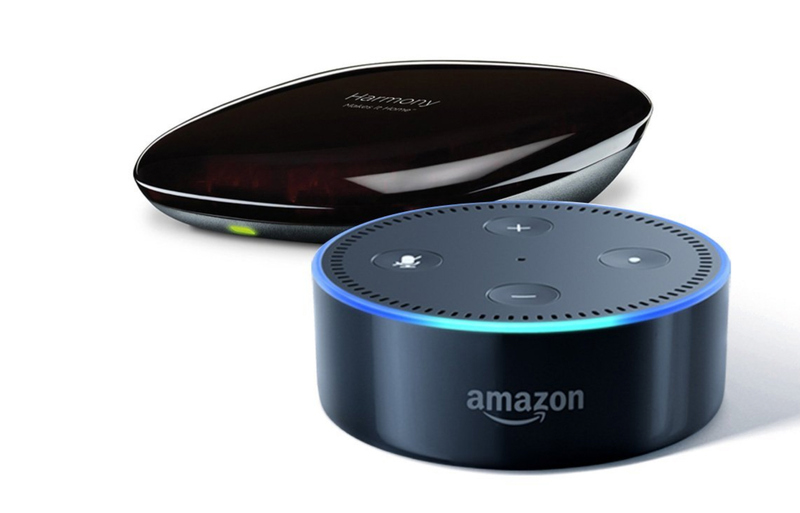 If you act now then you'll be able to take care of both needs in one shot as Amazon is currently pairing both the Logitech Harmony Hub and the Amazon Echo Dot, generation 2, for the price of the Hub. If you're worried because you don't have a Harmony remote then no need to fear, the hub can work stand-alone by utilizing the Harmony app on your phone or tablet, turning that device into a universal remote. There's no word on how long this deal will run. The price on the Amazon site is $99.99, exactly what Logitech lists the hub alone for on its own site. Setup is fairly easy and there are thousands of products in the Harmony database so simply download the instructions for each that you have. Perhaps Black Friday has come a bit early here.